santa head christmas tree ornament. rosy cheeks and a festive red hat accent this classically styled santa’s head of blown glass. think santa can't fly? look again! 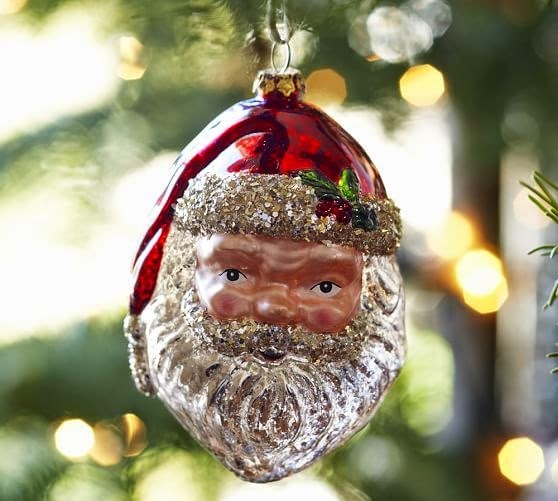 celebrate christmas 2001 style with our santa heads 2 space glass glitter ornament. santa's ready to deliver your packages in space! no more chimneys to deal with; that's a plus! 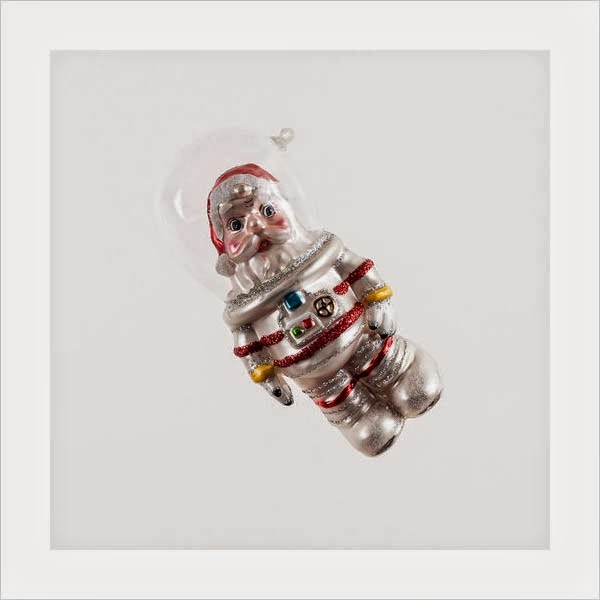 our hand-blown santa claus tree ornaments feature unique decorated color and sparkle accents that provide the most bang for your space-age buck. with his jolly looks and crystal glass space helmet; santa still proves to be in the upper echelons of holiday gift deliveries...time and time again! each ornament is finished by hand and reflects light beautifully. show a single set of 3 ornaments or purchase several sets as corporate gift ideas or for a truly spectacular display on your own tree. price is for 1 (one) ornament. must be purchased in multiples of 3. each ornament measures about 6". hanging loops not included. makes a far-out gift idea for family, friends, anyone!